1. Beat together the Neufchatel, the 1 tbsp milk and sugar in a medium size bowl with whisk until blended; stir in the thawed topping. Spread onto bottom of crust. 2. Beat together the pumpkin, pudding mix, spices and remaining milk with whisk 2 minutes. (Mixture will be thick.) 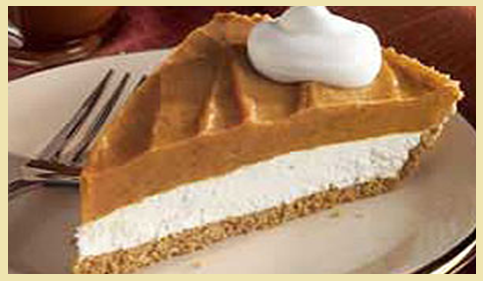 Spread over the whipped topping layer in crust. 3. Refrigerate 4 hours or until firm.